Our commercial grade, shock absorbing, anti-fatigue foam flooring create an elegant, durable and comfortable trade show experience for your customers and your staff. Premium SoftCarpet interlocking foam flooring energizes your staff and your booth with a comfortable, cushioning, foam tradeshow floor with an elegant carpet top. Bottom foam layer made of EVA foam. 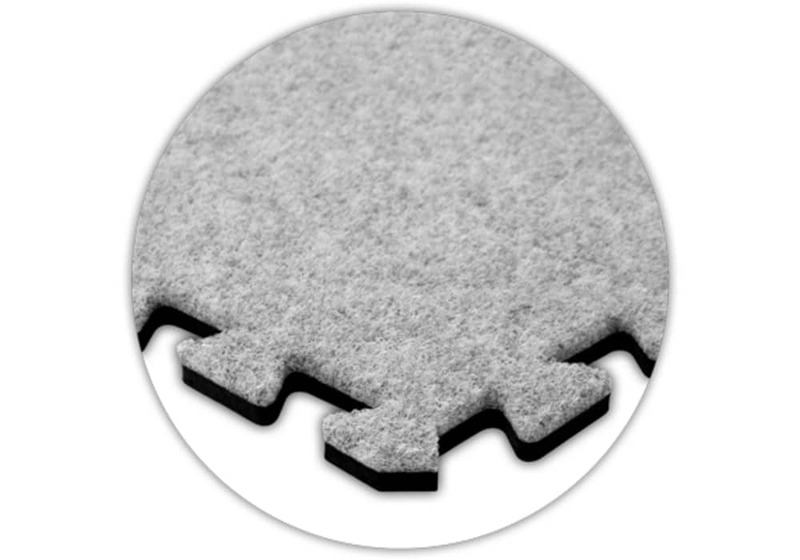 Top layer carpet made of a blend of polypropylene and polyester fibers. 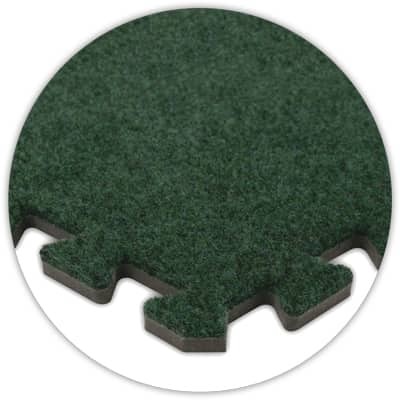 Carpet top adds an extremely durable top surface that is 100% puncture resistant against high heels, more puncture resistant against sharp objects. Perfect for indoor as well as outdoor use. Creates a professional and contemporary look and feel. Tile material is completely waterproof and will not absorb water. Fire Retardant - Meets FMVSS-302 specification. Thickness: Nominal 5/8" (14 mm). Weight of each tile: 1.6 lbs. Each tile comes with one corner edge and one non-corner edge. Each edge piece, when attached, extends that edge of the tile by an additional 13/16". 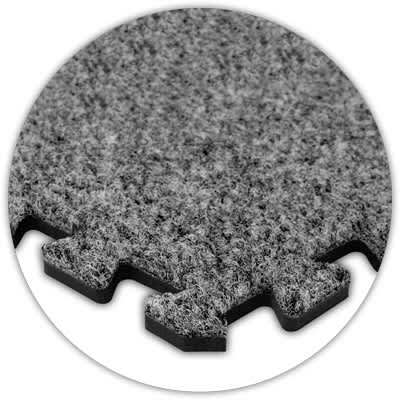 Premium SoftCarpet, the original interlocking floor mats with carpet top make the perfect exhibit floor, trade show floor or expo floor. 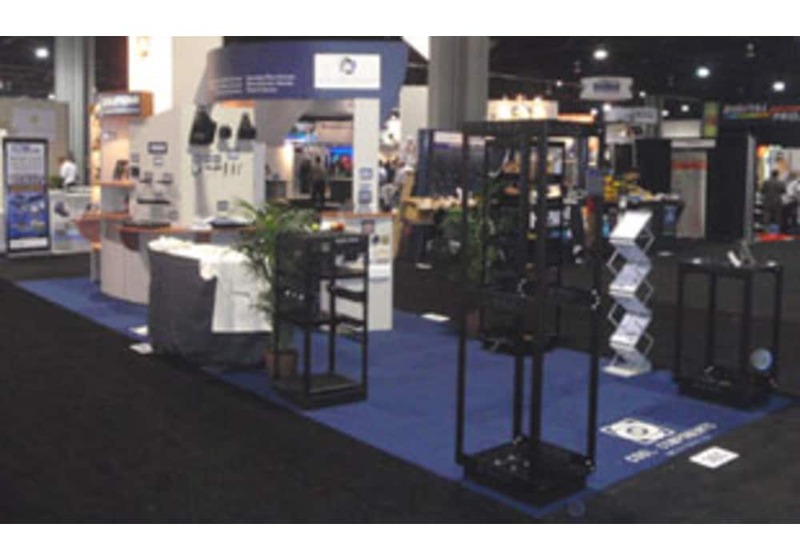 They create an elegant, durable and comfortable trade show experience for your customers and your staff. 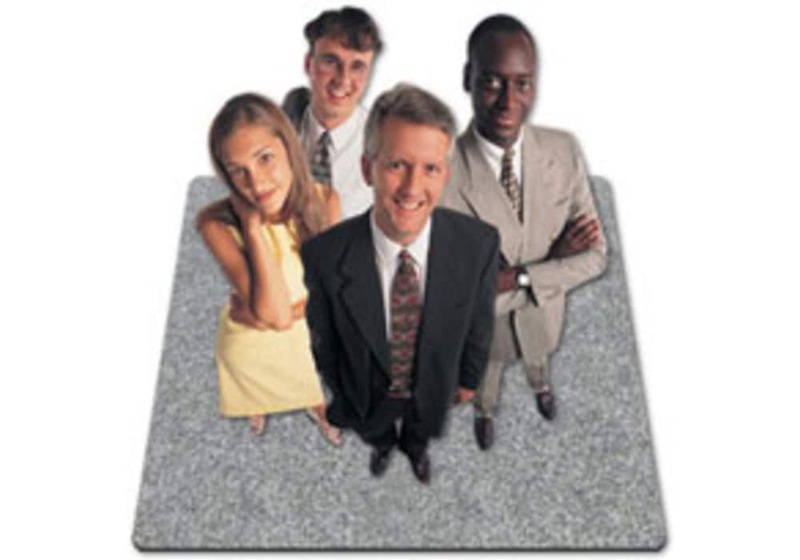 Premium SoftCarpet interlocking foam flooring energizes your staff and your booth with a comfortable, cushioning, foam tradeshow floor with an elegant carpet top. Each 2' x 2' x 5/8" interlocking foam floor tile is lightweight and portable and is available in assorted colors so you can create a unique look. We offer the lowest price on this product.Guaranteed! Commercial grade, shock absorbing, anti-fatigue foam flooring. Lightweight and portable; assemble in minutes. Bottom foam layer made of EVA foam. 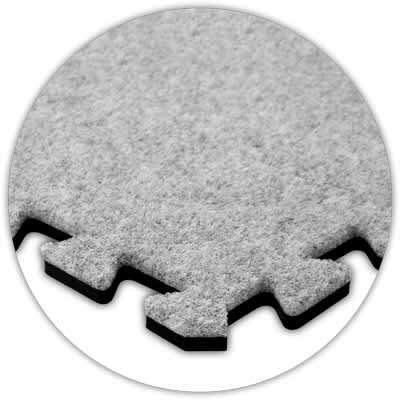 Top layer carpet made of a blend of polypropylene and polyester fibers. Carpet top adds an extremely durable top surface that is 100% puncture resistant against high heels, more puncture resistant against sharp objects and more impression resistant against heavy objects than the Premium SoftFloor and SoftWood. Tile material is completely waterproof and will not absorb water. Fire Retardant - Meets FMVSS-302 specification. Creates a professional and contemporary look and feel. Due to the interlocking nature of these tiles, each tile size will be reduced by approximately 1.5% when connected together. Therefore, please make sure that the dimensions quoted, minus 1.5% in each dimension, will cover your required area (for example a 20'x20' quoted area would be approximately 19'8"x19'8"). During assembly, orient tiles such that arrows embossed on underside of tiles all point in the same direction. This will ensure carpet fiber directional alignment. Weight of each tile: 1.6 lbs. Colors may sometimes vary slightly due to changes in production dye lots. Interlocking foam floor tiles shown above are for color and texture representation only. Actual interlocking trade show flooring tiles have many more interlocking teeth per side.